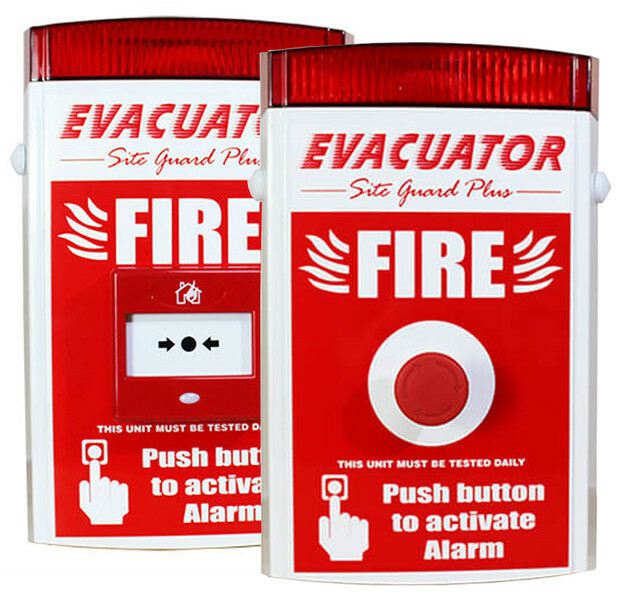 The Site Guard Plus is an easily installed, simple to operate, reliable site alarm. These units require no external wiring (unless you wish to link to other Evacuator products), are manufactured using high quality components and feature an extremely loud 118dB sounder. 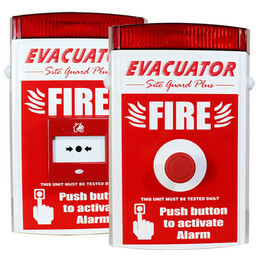 Self contained battery operated site alarm. 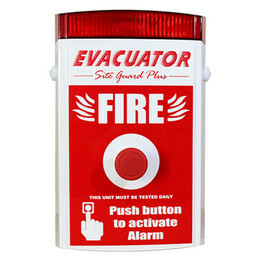 Push Button or Break Glass Activated. 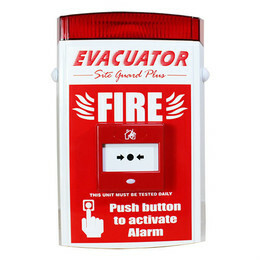 Easily installed and requires no external wiring. Integrated high power flashing strobe. Powered by 9V PP3 battery. 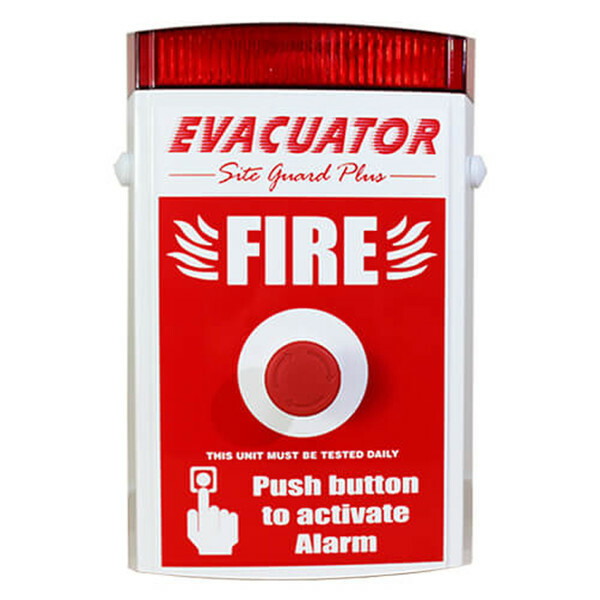 Can be linked to other Evacuator products.